40+ combined years of arts marketing experience. Digital and audience development specialists in the arts. 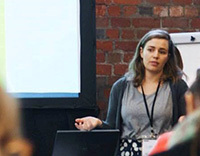 A boutique audience development consultancy based in Auckland, New Zealand, The Audience Connection works alongside cultural organisations to build and engage with their audiences via integrated and effective use of digital channels. Our company was founded in 2009 in response to an identified need for arts and cultural organisations to be given guidance on how to effectively connect with audiences in an increasingly digital environment. Since then, our work has been almost solely in the realm of digital and the arts, with most our projects in the areas of digital and audience engagement strategy, social media strategy and implementation, website project management, digital content development, online marketing analytics and benchmarking, and workshops and training in digital strategy and online marketing. Vicki is founder and director of The Audience Connection, a consultancy that works alongside cultural organisations to build and engage with their audiences via integrated and effective use of digital channels. Vicki has worked with organisations internationally across a range of genres. Her clients have included festivals, opera companies, museums, chamber music ensembles, literary events, dance and theatre companies, funding bodies, service organisations and vendors. 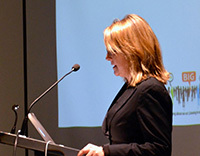 Prior to setting up The Audience Connection, Vicki held senior marketing and digital roles with several high-profile performing arts and online music organisations in Wellington, Auckland, London and New York, including English National Ballet, GMN.com, Classical.com, New Zealand Opera and Auckland Live. She is a regular international speaker, writer and consultant about digital marketing in the arts. Katharine joined The Audience Connection in November 2013 to support Vicki in delivering consulting services to our range of clients in the cultural sector. 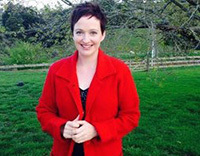 Katharine completed a Bachelor of Performing Arts at Unitec in 2007 with a major in writing. After graduating, she joined the ticketing team at THE EDGE venues (now Auckland Live), transitioning into a focus on the groups, education and specialty ticketing department and moving into the role of Ticketing Event Manager in 2011. Five years working in a organization with a diverse arts and entertainment programme and client base, and the opportunity to experience a broad range of performance, helped anchor Katharine’s primary passion – the connection between the work presented on stage and the audience. Katharine left THE EDGE in November 2012 to undertake an entirely different challenge – traveling to South America. After four months in Peru, Chile, Columbia and Bolivia, followed by a period of eight months living in California, she returned to New Zealand keen to develop her skills in audience development, digital content and online marketing in the performing arts sector. Carla has been working with The Audience Connection for several years, keeping the cogs of the wheels turning with her organisational skills and bubbly personality. An illustrious singing career with New Zealand Opera has given Carla a genuine understanding of the performing arts sector in which The Audience Connection does a lot of our work. At age 20 Carla was accepted into New Zealand Opera’s Young Artist programme and performed in the chorus for several few years before travelling study Italian in Livorno and then being accepted into the Price Waterhouse Coopers Dame Malvina Major Emerging Artist programme. She has since performed a number of Principal and chorus roles for New Zealand Opera and Opera Waikato. In recent years Carla has focused on running her family’s own 13 acre property and raising her three young children. Having previously hired Carla in the Marketing Department of New Zealand Opera over a decade ago, Vicki was quick to snap her up again to provide support to our team.